If you want to create a serious and profitable street fashion blog, which does not have to be ashamed of, then I do not recommend you use a free theme. Because most of the free theme designs are outdated or just not trendy or high quality and fashion blog that writes about the latest trends can't be with an obsolete design. So here’s some of the best wordpress fashion themes available to give you the strongest start. If you are looking for a pleasing built, incredibly modern and truly responsive WordPress theme for your eCommerce webpage then DeVoe is a perfect choice for you. It does not matter if you are using a mobile phone, tablet, or laptop, thanks to modern retina design elements, the image will still look sharp. Apart from these features, DeVoe has support for custom post formats, related posts with thumbnail and media feed. This girly, fashionista and even wedding WordPress theme has an optimized code and structure, as well as fantastic Custom SEO options for every page and posts. BbPress is forum software with a twist from the creators of WordPress, easily setup discussion forums. Truthfully, it’s hard to express the full spectrum of features and capabilities that the DeVoe theme provides. A refined theme can be used for girly, fashion, fashionista or any other sleek and clean style webpage. The DeVoe enables you to create an easy to navigate eCommerce site quickly. 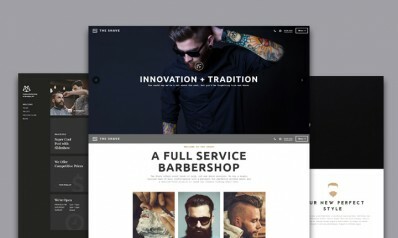 The Voux is a stunning, modern and responsive theme built for eCommerce blog. The modern framework and the way it looks on the homepage are big selling points here. If you need something unique or pleasing, then this theme is right for you. Trendy, comprehensive patterns make customers website feel lightweight and cutting-edge. The Voux is full of plugins that you will need in managing and comfortably installing a girly website. Standard features make it easy to add content (via drag-and-drop), upload logos and integrate social media accounts.
. With Retina your site will look awesome on smartphones, tablets and high-resolution devices. Magnificent for fashion, eCommerce, and lifestyle blog to use. Say hello to the versatile Street Style. Fashion magazine theme also comes with all necessary post formats such as links, quotes, galleries, video. You can customize the theme from the admin panel with the default WordPress theme customizer. You’ll also have access to the highly customizable Visual Composer page builder plugin to help you customize your website and build it from scratch. Let your imagination fly with Street Style theme. Street Style is good for lifestyle, fashion, eCommerce or any other brilliant and elegant style homepage. Street Style is the premium magazine theme that doesn’t make you do anything, it lets you do everything. This fashion magazine theme is carefully crafted with attention to superb details and love. The design is also retina ready, ensuring your website looks sharp, no matter what device or screen size its being viewed on. You can choose among mixed, grid or simple list layout to showcase your latest posts. It has a present-day header, plus the posts show up elegantly via lazy loading. You can manage all the color schemes according to your own choice, choose the color you love. The theme is fully compatible with the latest SEO techniques and helps you to boost your stuff higher in search results. The theme is compatible with WPML plugin that allows you to translate your homepage into multiple languages. It has an advanced admin panel which will make you are developing a lot easier. Additionally, this theme has a drag and drop builder to create a superb website for your requirements — a great theme that will satisfy your needs. Programmers crafted this innovative and responsive fashion magazine theme for your eCommerce, fashionista or girly website. Use the beautiful slideshow and featured categories to build your homepage how you want it. 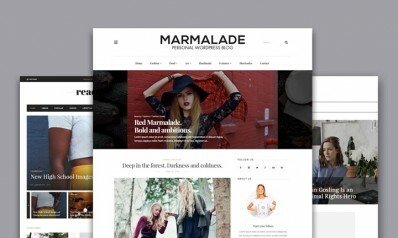 The Marmalade is a stylish premium theme with delightful, outstanding, tasteful as well with quite responsive to all devices design well suited for a fashionista, girly or lifestyle blog. The premium theme design is simply versatile; it combines a modern photo-centric user interface with a fitting amount of design elements. 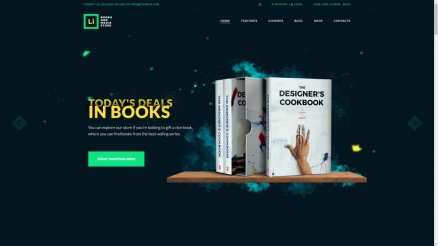 Developers made this impressive great for your lifestyle, eCommerce or fashionista project. Quality code, optimized HTML5, standards compliance are core strengths of the common framework that is included in this WordPress file. This theme isn't hard to use and designed with the most effective theme attributes. With over 600 fonts from the Google library along with the default system fonts, you can choose what you want and use it where you want on your webpage. Use the WordPress customizer to make changes in real-time to your site and tweak it to fit your requirements. This truly responsive WordPress theme is retina ready, making all of your images sharp and clean. The theme now features a premium shortcode builder with a user-friendly GUI for each of the 60+ shortcodes. All in all, a great choice if you can shell out the required bucks. Magazine Tana is an intense, versatile and utterly responsive theme built for fashionista blog. Retina displays set unique demands to websites, and Magazine Tana theme is developed to have an ultimate performance on all retina displays. Apart from these features, Magazine Tana has support for custom post formats, related posts with thumbnail and media feed. If you want to get a bit more creative and customize any of the features, that’s not a problem either, because you can easily configure your webpage via WordPress customizer. Visual Composer plugin with front-end and backend editor included. With this drag & drop layout builder, you can structure the content on your page. Not only comes with stunning completely responsive, but Magazine Tana also satisfies many demanding customers with the great UX/UI experience. Trendy theme options are made for eCommerce, fashionista, lifestyle or any other beautiful and elegant style homepage. Try feature-rich and carefully designed Magazine Tana today, you won’t regret it. Glossy is resourceful, well-made fashion magazine theme with handy features, which is usable for many uses. Glossy is designed to provide you with the vast possibilities of WordPress and give your website a visually stunning and lavish look. It allows you to highlight specific articles on the homepage, and to improve readability with impressive use of photography. Use the One-Click installer to create a website with demo content in five minutes. It even comes with in-built support for WPML ( WordPress Multilingual Plugin) just in case your site publishes content in languages other than English. Custom Shortcodes work as fantastic building blocks for your pages. Very diverse and easy to manage, you will love them. This a beautifully created theme is loaded with plenty of extensive features and is the right choice for online fashion or eCommerce websites. The responsive layout makes it convenient for readers to use any device to browse your site. Go anywhere, with stunning Glossy. Build a stunning, fully functional and professional online blog using this extremely easy to adoption drag and drop WordPress theme. Lavish, sleek designs make every result feel lightweight and pristine. Programmers crafted this innovative excellent for your fashionista, lifestyle or eCommerce. Prime CSS3 and well-made construction are one of the key points for an outstanding site that will be successfully spidered by Google. fashion WordPress shop theme is packed with a large number of features that has all you need to create a great website. Hundreds of Google fonts let you customize website appearance completely, they are easy to add and can be used anywhere. Besides, it is crafted with Bootstrap, which is a comprehensive framework that helps to achieve the best search engine ranking. Each element of this super functional theme is retina-ready and would look spectacular on high-resolution screens. Easily to use one-click import demo content, it will help you importing premium theme demo content, pages, posts, menu options and theme options with just one click. The entire theme integrates with the extremely WooCommerce plugin, and it works great for designing your product pages and connecting with a payment processor. Use the beautiful slideshow and featured categories to build your homepage how you want it. Tempest is a state of the art magazine theme, ideal for lifestyle blog that wants to have an excellent and beautiful look. Truthfully, it’s hard to express the full spectrum of features and capabilities that the Tempest WordPress theme provides. If you need something different and go-with-the-flow, then this theme is ideal for it. The exotic appeal look is packed with sufficient white space, multiple content types, and lots of images to produce an amazing website. Suitable with most popular plugins and add-ons from many programmers. Standard features make it easy to add content (via drag-and-drop), upload logos and integrate social media accounts. The theme advanced control panel lets you choose from 500+ Google fonts for headings, body or meta elements. This responsive premium theme is retina ready, making all of your images sharp and clean. Superb for lifestyle, fashion, fashionista or even online fashion lingerie store. Brook is present day, cutting-edge and truly responsive blog WordPress Theme, which will help you to configure any site with this superlative WordPress theme. The elements are delightful; it unites an actual photo-centric website UX with a suitable number of white space. Malleable Brook is good for girly, fashionista, eCommerce or any other stylish and clean style homepage. Acceptable for customers with no developing skills and also for high level programmers. Brook is a aesthetically highly customizable structure, with conceptually modification efficiency readily available within few minutes. Choose from 650+ Google fonts that best fits your web design needs. The theme can be fully and comfortably customizable even by beginners. It does not matter if you are using a mobile phone, tablet, or laptop, thanks to important retina design elements the image will still look sharp. If you are after a large theme with a lot of customization options then this is the one to take a look at. Consider the Allure theme if you want to create a fashion type blog. Be original, modern and successful with the Allure WordPress theme. If you need something unseen or go-with-the-flow, then this theme is perfect for you. The theme comes with various website headers, unlimited colors and tons of options to build a brilliant homepage, and progressive web designers love this result. It is friendly with most popular plugins and addons from other developers. Using powerful builder, you can build almost any layout you can imagine, and it will be truly responsive. The theme has working flexible contact forms, and you only need to set them up. Want to switch different font styles? The theme comes with more than 700 Google fonts for better typography experience. The theme has beautiful retina support so it will look great on all retina devices. All in all, the theme is the superb choice for building an eCommerce blog easily. A elegant theme for a lifestyle sites or fashion, with a visually stunning and dazzling design. Why turn away visitors and customers. 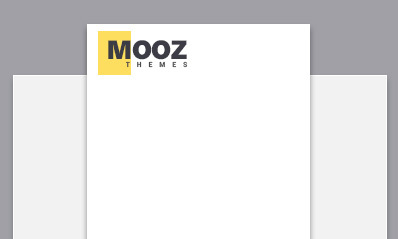 If you are looking for unseen or trendy, then this theme is perfect for you. Malleable, sharp designs make your page feel light weight and engaging. Suitable with multiple plugins and addons from other programmers. Included super-flexible form generator plugin contact form 7 allows you to build user-friendly and intuitive contact forms. Choose from 650+ Google fonts to make your website more unique and elegant. It is fully compatible with the latest SEO techniques and helps you to boost your stuff higher in search results. It has an integrated WordPress Customizer that allows you to change colors with ease. Overall, the theme has an extraordinary and amazingly layout. Allow your website to stand-out using a new blog WordPress Theme, which helps to create something remarkable. This theme offers plenty of widgets which allows you to create a clean and awesome blog site. With just one single mouse click you can install the website's content, fast and easy. The theme now features a premium shortcode builder with a user-friendly GUI for each of the 60+ shortcodes. This well made premium theme is exclusively created for the fashionista or girly blog. With this WordPress theme, your webpage will be truly responsive. It’s a Kolumn theme that puts the focus right where it belongs: on your words. Applique is a beautifully designed premium theme with a strong focus on eCommerce. The robust framework and the way it looks on site are big selling points here. In addition to it is perfect for developing a go-with-the-flow, modern and well made blog in multiple niches. Pleasing, go-with-the-flow layouts make your website feel light weight and visually stunning. Fashion WordPress theme come with plugins which helps you managing and comfortably installing an eCommerce project. You can also insert an email subscription form and integrate it with MailChimp or Constant Contact. Integrated email marketing tool makes it easy to send email newsletters to your customers. This theme is ideal for building a girly blog because it is SEO friendly to help you gain web presence for your product. This theme lets you customize each element Live without you having to touch any code. With Retina your site will look extraordinary on smartphones, tablets and on high resolution devices. In general, this design is the superb pick for setting up a fashion blog quickly and easily. SmartBlog is a creative WordPress theme that comes with versatile, eye-catching, sharp as well with completely responsive layout well suited for eCommerce, girly or fashion blog. The visually stunning design is centered around a content on white space: the minimal background keeps eyes from tiring as they feast on the other sufficient typography of the site design. This theme is full of widgets and interactive buttons, like every fashion site, should be. It is still bright enough to be used for fashionista or lifestyle blog. The premium theme performs beautifully on all devices, with smooth animations and optimum speed. SmartBlog - every little bit counts. Any small, medium or large fashionista blog can use this theme quickly. Apart from these features, unPress Magazine has support for custom post formats, related posts with thumbnail and media feed. Unlimited colors option includes a backend color picker in the theme options that allows you to quickly change the color of any element. This fashion, girly and lifestyle theme has an optimized code and structure, as well as fantastic Custom SEO options for every page and posts. And it has a touch of shine - just enough to dazzle your site, but not so much to be over the top. The versatile theme is perfect for lifestyle, eCommerce, fashionista or any other bright and elegant style site. UnPress Magazine is a customizer’s dream, so if you’re looking for an aesthetically gorgeous and handsome solution, this is one of the best options available. Milja is rapid, graphically outstanding lifestyle theme integrated with useful options, which is usable for many uses. Milja is a lavish eCommerce premium theme developed using the latest design trends. This lifestyle WordPress theme provides an outstanding header, custom widgets, simple menus, and a carefully polished blog section. The Milja theme is explicitly designed for girly or fashion, so the amount of design work involved is kept to a minimum. 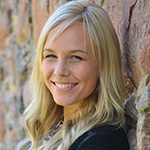 Milja works perfectly on any size screen devices helping, your clients to comfortably view your website using tablets, smartphones or desktop computers. It’s a Milja theme that puts the focus right where it belongs: on your words. Choose a theme that is well integrated with your requirements and you can operate it without any problem. Why turn away visitors and customers. Besides theme is perfect for creating a sharp, cutting-edge and super flexible blog in multiple niches. Sophisticated, visually stunning patterns make customers website feel light weight and pristine. You have plenty of plugins to modify your homepage layout. The inclusion of a page builder tool makes it easy to customize any of the page templates that makes this theme customization-rich and modern. Pandella is Search engine optimized, so your posts and content will automatically be indexed and outrank your competition naturally. The design is also retina ready, ensuring your website looks sharp, no matter what device or screen size its being viewed on. All in all, this theme is the superb pick for crafting an eCommerce blog easily. SugarBlog is avant-garde, super flexible fashion theme with fully customizable features, which is usable for many websites — versatile premium theme with various types of reasonable modern features and with a carefully constructed, pleasant, pleasing, delightful professionally looking design. SugarBlog strength is the number of useful features it offers. The SugarBlog theme provides a super easy to use One Click Installer to get you started super fast. Finally, your entire website can reach a global audience thanks to SugarBlog integration with WPML plugin which allows you to translate your site into any language. The SugarBlog theme is ideal for a girly, eCommerce or fashionista websites. From smartphones to desktop computers, your home page will be displayed correctly and optimized for the best viewing experience. Given these points, SugarBlog is one of the complete fashion WordPress themes you’ll find for lifestyle blog. Piemont is an opulent premium theme that comes with impressionable, trendy, refined as well with the utterly responsive design well suited for lifestyle, eCommerce or fashion blog. Truly enjoyable overall style and dazzling design possibilities with multiple customizable options will impress visitors to fashionista website. Developers build this powerful perfectly suited for your lifestyle, fashion or fashionista project. Useful documentation, optimized HTML5, standards compliance is core features of the framework which is included in this theme. Piemont is packed with all the handy features you want to create trendy sites. There are literally hundreds of Google fonts to choose from to outfit your webpage. 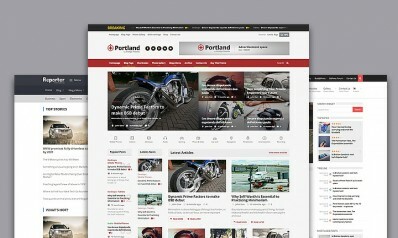 This well made WordPress theme is based on an incredible and remarkable Twitter bootstrap framework. It does not matter if you are using a mobile phone, tablet, or laptop, thanks to astonishing retina design elements, the image will still look sharp. Easily to use one-click import demo content, it will help you importing WordPress theme demo content, pages, posts, menu options and theme options with just one click. Piemont let’s you create your versatile e-shop using powerful WooCommerce plugin. For content that will dress to impress (almost literally), consider Piemont.